In order to overcome this exception, you must to adjust visualization parameters for SOA Instance in order to trace more audit trail. 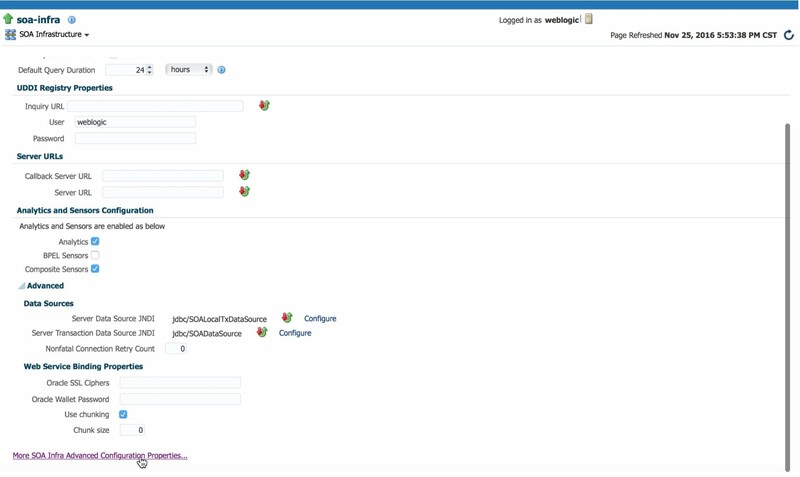 5- In System MBean Browser page, Click in the link for audit configuration. 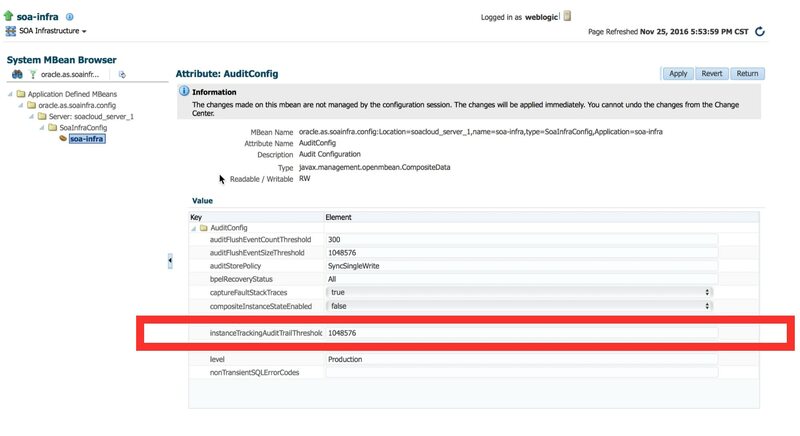 In attribute: AuditConfig, increase value for paremeter instanceTrackingAuditTrailThreshold. There you go!, Now you can visualize complete audit trace without any problem; but calm down and keep in mind the right management for server resources.